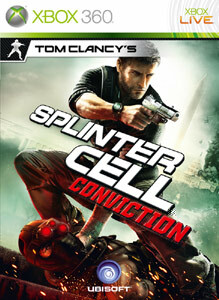 Splinter Cell Conviction has been in development for quite some time as we all know, and the game has gone through some major changes from it's story, character design, and traditional stealth game-play. It's finally here and I believe it is the best game in the franchise as it keeps a great balance between the stealth and action and includes some great co-op features that will keep you busy for quite some time. Fisher is back, and this time things get personal. 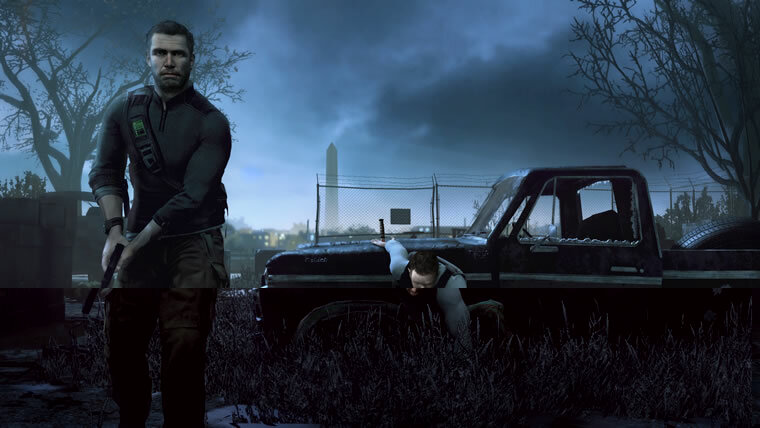 Being the star of 4 previous games, details on Sam Fisher were actually pretty bare bones: He's a middle aged man that worked for Third Echelon, served in the army, and has a daughter who was killed in Splinter Cell: Double Agent. Sarah Fisher's death is the thing that fuels the plot-line in Conviction for Fisher, and he gets word that her death may not have been an accident. He decides to track down this information and ends up tied in a government conspiracy with Third Echelon being into the mix once again. To find the truth, Fisher must help the agency he left in order to stop a threat to the country, and finally get some real answers about his daughter. 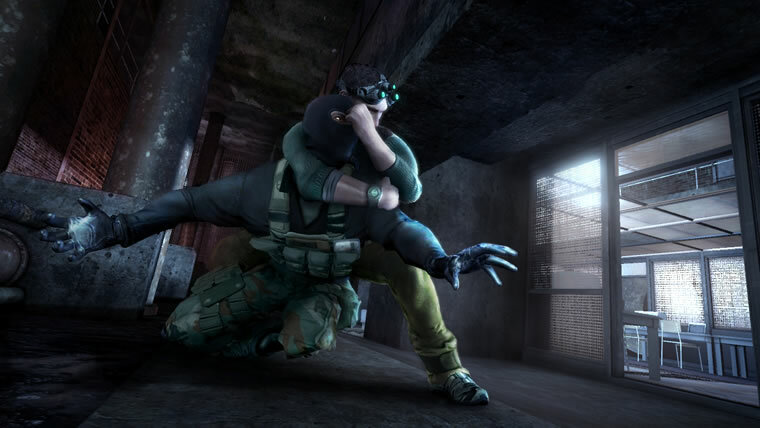 Gadgets have always been a key component to Splinter Cell games, and their role gets even bigger in Conviction. The Signature Night-Vision goggles that Fisher has always used are gone and get replaced by Sonar goggles that can see enemies thorough walls, and give you a great edge to get the preemptive drop on enemies around the corner. The weapons of the series do appear and are all upgradeable. The great thing about the gadgets as well is that they can be used in the single-player and co-op game modes, so you could upgrade a gun in co-op, and use the same gun as Sam Fisher. Your main tools return like the camera and frag grenades, but emp grenades, flash bangs, and portable emp devices all bring new welcome additions to Conviction. Emp devices play a big role in Conviction, and Sam gets to use them throughout the game and at the right times they can prove to be just as useful as guns. The game-play is a little different from how we used to play Splinter Cell as well. Usually we would keep our N.V goggles on the entire time and slowly make our way through the missions while shooting all the lights out and completing our objectives. 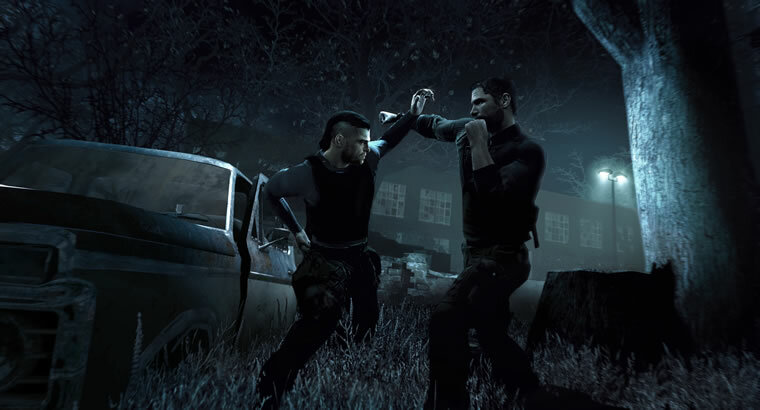 For Conviction stealth is still key, but taking down enemies swiftly and pushing forward in the level is the main focus of how the game plays. The big feature to taking out enemies though is Mark & Execute, a way to instantly kill enemies with a few presses on the controller. Once your weapons become upgraded, up to 4 enemies can be taken out by Sam and the maneuver is similar to Fallout 3's V.A.T.S. system as the maneuver never gets old. You can't play the game and instantly execute everyone as the move must first be unlocked by stealthily taking down an opponent, but stealth take downs are not too difficult so you could use Mark & Execute a few times in each mission to give you a nice edge since Fisher is always outnumbered. All objectives for Conviction are displayed like projections, so If you look at a wall, your goal will displayed on the side. It's really cool and simple way to remember what you're supposed to do, and I wouldn't be surprised if other games try this feature. Sadly there is now Spy Versus Mercenaries mode in Conviction, but Co-op play is back and better than ever. 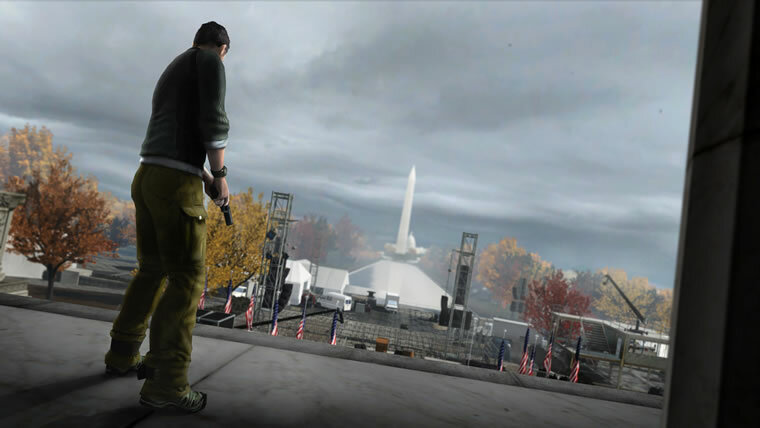 The Featured modes for offline and online play include a story mode for two players taking place right before Fisher's story and feature American Spy Archer, and Russian Agent Kestrel in a plot that relates to what Fisher will come across. 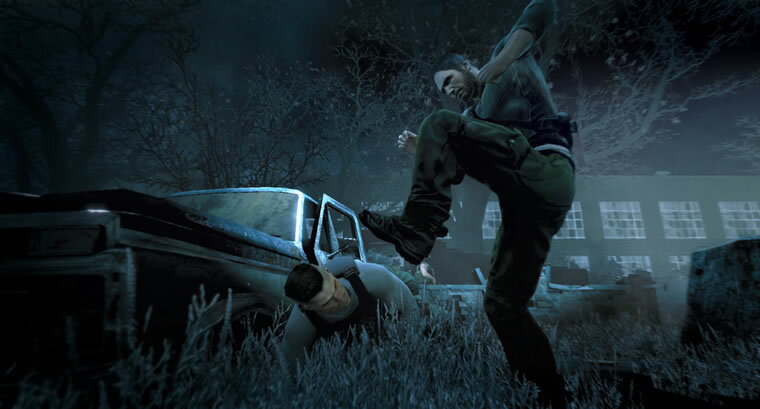 Mark & Execute plays a big role in Co-op as well, and players can coordinate when to perform the move to quickly take down a great number of enemies. besides the co-op campaign, there is Hunter and Infiltration (With Infiltration being Unlocked Via Uplay) that have you taking down a set number of enemies in a level (Infiltration has you to doing it without being seen). Then there is Last Stand mode, which is similar to Firefight and Horde mode, only you have to defend an object while taking on set waves of enemies. The Last mode you can play is Face-Off, a mode where you must take out the other player controlled spy, while avoiding enemy A.I who will take you both out. This is a big chunk of Conviction replay value, and is a great mode to play whether you have Xbox LIVE or not. Uplay is back for Conviction and like with Assassin's Creed II, you can unlock extra goodies for use in the game. If you don't know how Uplay works, it is a system that gives you points to spend on Rewards for Ubisoft games and these points are given by completing in game achievements. The rewards vary from new weapons, themes for your dashboard, and even new modes like Infiltration. Besides all these goodies, Ubisoft is also promising on delivering new free content for Conviction Every Thursday. Overall this a must-play for Action/ Stealth fans and a game that was worth the wait, and what a wait that was! Much more refined from previous Splinter Cells. Even though Fisher is much older, he can still pull off some great moves with your help of course. Singleplayer took me around 5 hours, but Multiplayer Co-op can provide many hours of fun. Possible DLC could this even further as well. Is it a Buy or Rent? Even though the Campaign is short, I would say Buy for the great Co-op and weekly content coming our way.